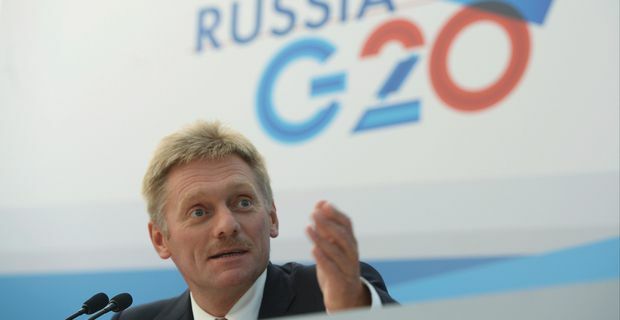 Russians dismiss Britain as irrelevant "small island"
Britain's diminished position as an economic power was highlighted rather cruelly by Vladimir Putin's spokesman Dmitri Peskov. Peskov told the Russian press that Britain is "just a small island, no one pays any attention to them." It's a slur that is bound to make David Cameron go red in the face, particularly as it follows closely on his humiliating defeat in the Commons over bombing Syria. Peskov seemed in jovial mood, also suggesting that Russian oligarchs were buying up large chunks of London. Which happens to be accurate, if less than diplomatic. Perhaps if Cameron made them pay tax . . . Ahead of the G20 summit in St Petersburg, the comments seem like a deliberate attempt to marginalise Cameron, mainly because he still supports robust military action against the Assad regime in Syria. Asked by the BBC if the Russians had a point, Cameron dismissed the idea. "I don’t accept that for a moment," he said, insisting that Britain remained a power in world affairs. "Britain will be one of the leaders in bringing forward plans for a peace process for Syria. Britain will be leading the argument across the globe for continuing to respond strongly on chemical weapons." The Russians will be in the other camp, insisting that the West leaves Assad alone. Why Russia and Putin are so keen to defend the rights of a dictator in a police state that poisons its own dissidents is difficult to explain. Oh, wait . . . Meanwhile, Cameron will brood on the insult. The last time Russia tangled with Britain, the British unleashed a charge of several hundred cavalry in pink trousers at the Russian guns in the Crimea. This time, it's probably going to be something less dramatic, like changing the Freeview channel of Russia Today perhaps. Or asking Premier League referees to give a few soft penalties against Roman Abramovich's Chelsea.